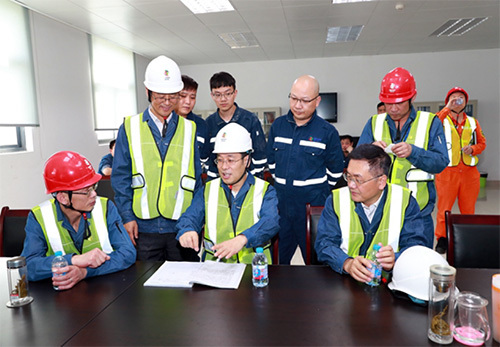 From 28 to 29 May, Executive Director and President of China Power Tian Jun and other representatives conducted a site investigation and inspection on Pingwei Power Plant, Pingwei Power Plant No. 2 and Pingwei Power Plant No.3. Tian Jun and others inspected the machine control room and the site where the machines are located and paid an onsite visit to see how those equipment is operated. They investigated and inspected some safety constructions and had a discussion with the persons in charge of the production department. During investigation and inspection, Tian Jun was briefed on the work of the three companies in Pingwei. Tianjun said, the three companies in Pingwei are making good progress in electricity sales, and will continue these efforts to promote accountability of equipment maintenance, improve enterprise system and standard, ensure production safety, enhance technological and managerial innovation and strengthen efficiency. 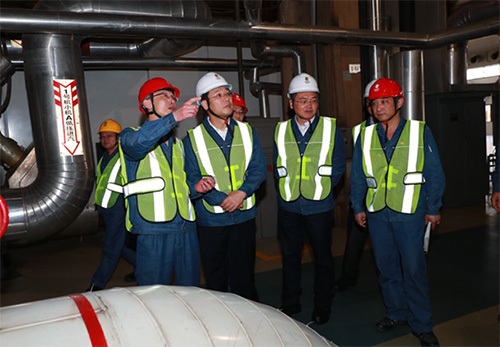 Chief Engineer of China Power Xue Xinchun and persons in charge of the Production and Operation Department, Safety and Environmental Protection Supervisory Department and the Office also participated in the investigation and inspection.